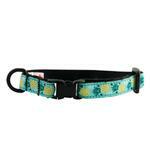 Cats and owners will love the life saving Kitty Breakaway Cat Collar - Pineapple Parade! 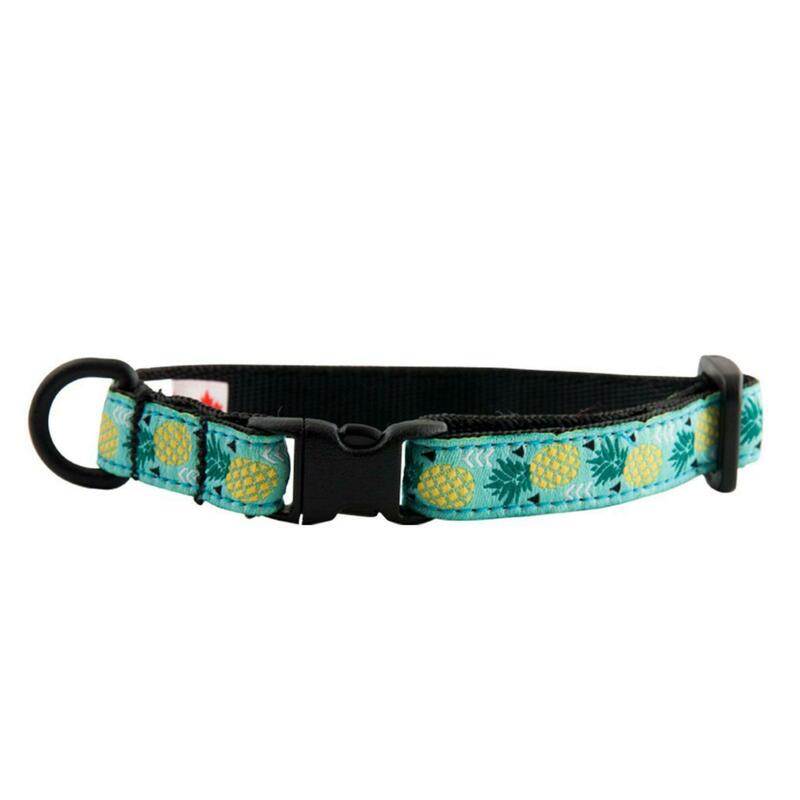 When cats get themselves into the oddest places, worry no more with the safety of a Kitty Breakaway Cat Collar - Pineapple Parade! Breakaway collars give way if they get snagged up on something saving cats from dangerous mishaps. It features a lightweight plastic D-ring for ID tags and a fun pineapple pattern. Machine wash cold on delicate cycle. Do not wash with touch fastener items. Hang to dry. Do not iron, do not bleach, do not dry clean.